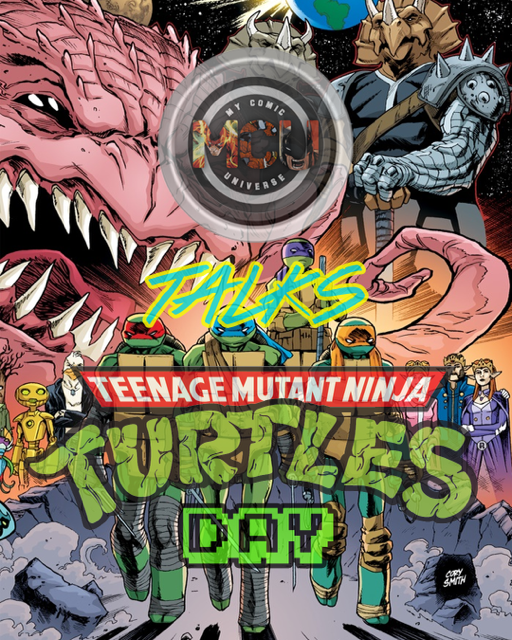 Home > Collectibles > My Comic Universe: Teenage Mutant Ninja Turtles Day Podcast! October 25, 2017 March 25, 2018 My Comic Universe7861 Comment on My Comic Universe: Teenage Mutant Ninja Turtles Day Podcast! Check out the above audio podcast where My Comic Universe’s Brian, Brandon, and Travis go over everything TMNT including the movies, comics, cartoons, toys and more! Be sure to also check out your local comic shop for any specials or signings. There is a free TMNT comic out today! One of our local comic shops, Earth 2 in Northridge is doing a signing today of TMNT #75 with Chris Johnson. He will also be giving out free sketches! You can also follow our website and subscribe to our YouTube Channel to stay up to date on all of our content! Check out our social media pages Facebook, Instagram and Twitter so you don’t miss out on our next comic and collectible giveaway and even more content!